You’ve just started your new job in a new company. You need to get up and running as quickly as possible so you sign up to the company’s induction course. Six months later, all of the department managers are finally in the office on the same day and the induction course is run for everyone who joined in the last half a year. You sit as the back of the room, bored to tears because in the six months you’ve been working in your new role, you’ve learned everything that’s being presented. You ask yourself “why am I here and why couldn’t I have gone on an induction course on day one?”. 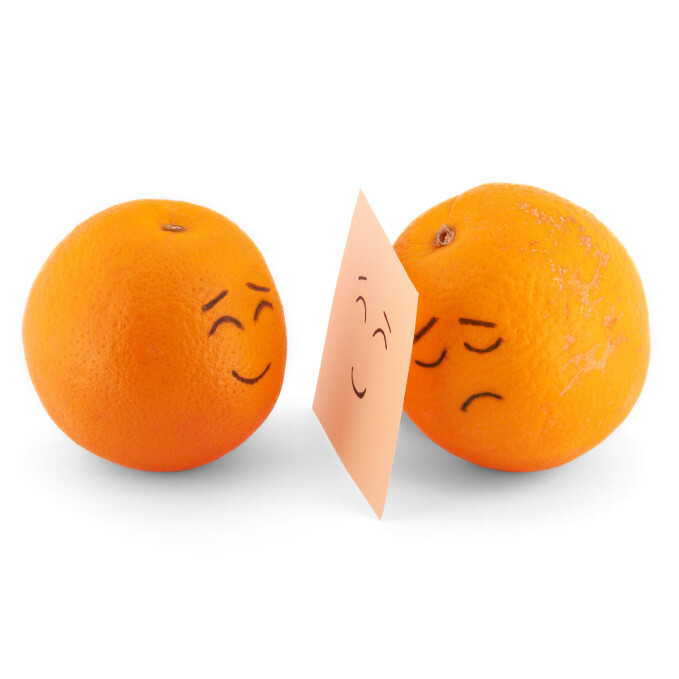 Getting critical staff together on a single day is the biggest obstacle to running a face-to-face induction course and by not providing your new staff with an in-depth insight to their new employer on day one, you’re creating a negative impression. That impression is likely to last long into the employee’s tenure and may even be reflected by them both within and outside of the company, having a direct impact on your ability to recruit and your brand. So why do companies do this? Perhaps it’s as simple as not knowing that there is a smarter alternative. So what if you could convey everything that you needed to on the first day a new starter joined the company, without having to endlessly nag your management team? Now, let’s picture a different scene. 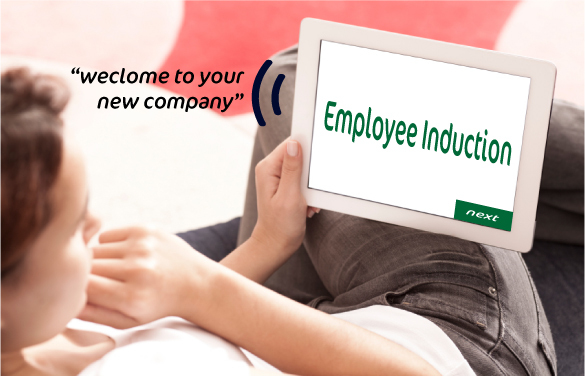 Your new employee arrives on day one and your HR team greets them, gets them comfortable and shows them to a peaceful chill out room with their favourite drink where they can relax and interact with an online induction course, at their own pace. At the end of the course (or at points during it), they may optionally take a quiz to check that they’ve learned the really important stuff you want them to take away with them. On passing, they get their own personalised induction certificate and they return to their HR team where the induction continues with personal introductions and follow up questions. The process of creating an online course, induction or otherwise, starts with us meeting you to find out about you, your company and what you need to get out of a course. We work with you to define the aim of the course and then work with individual contributors to create interactive content based on your learning objectives. We build a customised course from the ground up using a leading industry environment for authoring E-Learning called Articulate Storyline. Once the course is complete, it can be published to your own LMS (Learning Management System) server or we can provide hosting on a secure server accessible from any web browser on any device such as PC, Mac and tablets. You then create an account for any new starter and provide them with a computer or tablet to run the course through a web browser. We’re not like other creative agencies who provide you with a black box that only they can change, forcing you to spend more money. We provide you with all of the source project elements of the course so that you can choose to maintain it yourself and of course, if you prefer not to, we’re always here to help. Open source projects put you firmly in control. Which is the way it should be. Inter Hannover is a UK subsidiary of Hannover Re, a leading reinsurance company headquartered in Germany. The UK office found itself undergoing a rapid structural change and found it challenging to conduct numerous face to face induction sessions, lead by senior department managers. The solution was to move to the online environment and develop a narrated, interactive, scored online e-learning course. GMARK conducted a consultation with the executive management team to define the aim and objectives of the course before spending time with individual contributors to build content designed to deliver teaching against pre-defined learning objectives. We built an extensive 2 hour program in which new employees learn the fundamental building blocks about the company in terms of “who we are, what we do and how we do it”. The course was built using the latest state of the art software from a leader in e-learning, Articulate and is called Storyline. The solution is hosted in a LMS compliant environment and is self driven by the course inductees. Once the course is complete, during which quiz questions are presented to validate the learning, the inductee is presented with a certificate (assuming that they pass). The online course is accessed via a private secure URL on an LMS compliant server. GMARK provided us with a complete solution for an online e-learning course which has elevated the professionalism of our induction process. The results have been extremely positive for new starters and have made the integration of people into our organisation a smoother and more effective process. We will be happy to visit your premises to discuss e-learning on more detail and lead you through a live demo. Should you wish to view the demo yourself, you can contact us for the password to access the demo. 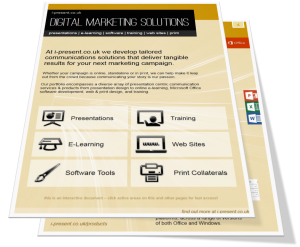 Download our full digital solutions brochure, discover our E-Learning service and then give us a call to discuss your needs. Why not contact us to discuss your next e-learning project?